This paper aims to present the features of the new soybean cultivar UFUS Milionária, which was developed by the Soybean Improvement Program of the Federal University of Uberlândia (UFU) through crossing between IAC-100 and Cristalina RCH cultivars, using the Single Seed Descent (SSD) method. UFUS Milionária is resistant to many diseases caused by the fungus, bacteria, and virus. In addition, it also has been proved well-adapted to many Brazilian states, showing high yield even under water deficit conditions and Asian-rust infection; average yield was 4,451 kg ha-1 in 2015/16 growing season. Glycine max; cultivar release; soybean Asian-rust; plant breeding. Buzzello, G. L., Trezzi, M. M., Marchese, J. A., Xavier, E., Miotto Junior, E., Patel, F., & Debastiani, F. (2013). Action of auxin inhibitors on growth and grain yield of soybean. Revista Ceres, 60(5), 621-628. DOI: 10.1590/S0034-737X2013000500004. Chen, H., Yang, Z., Chen, L., Zhang, C., Yuan, S., Zhang, X., … Zhou, X. (2017). Combining QTL and candidate gene analysis with phenotypic model to unravel the relationship between lodging and related traits in soybean. Molecular Breeding, 37, 43. DOI: 10.1007/s11032-017-0645-5. Da Silva, F. L., Ludke, W. H., Del Conte, M. V., Bueno, T. V., & da Silva, A. S. L. (2017). Methods for Advancing Segregating Populations. In: F. L., da Silva, F., Borém, A., Sediyama, T., Ludke, W., (Eds). Soybean breeding (p. 149-169). Cham, ZG: Springer. DOI: 10.1007/978-3-319-57433-2_9. Miladinović, J., Burton, J. W., Balešević Tubić, S., Miladinović, D., Djordjević, V., & Djukić, V. (2011). 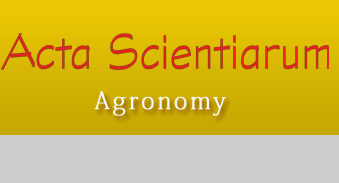 Soybean breeding: comparison of the efficiency of different selection methods. Turkish Journal of Agriculture and Forestry, 35(5), 469-480. Lee, S., Jun, T. H., Michel, A. P., & Mian, M. A. R. (2015). SNP markers linked to QTL conditioning plant height, lodging, and maturity in soybean. Euphytica, 203, 521-532. DOI: 10.1007/s10681-014-1252-8.